THE BEADY EYE SAYS: THAT THE DECISION/POLICY MAKERS DO NOT APPRECIATE THE GRAVITY OF THE SITUATION. Climate change, Environment, The Future of Mankind, Visions of the future. 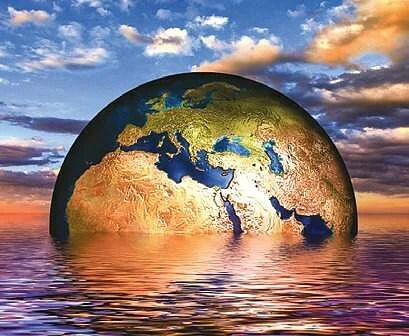 With a world that is in a categorical state of chaos ignoring the fact the climate is already altered can not continue. It is certainly too late to stop all climate change. Climate change is not an on-off switch. It is a continuing process. Emitting greenhouse gases is a lot like overflowing a bathtub. Even a slow trickle will eventually flood the room. By continuing to delay significant reductions in greenhouse gas emissions, we risk handing both an impossible financial and technological burden to future generations. They have to realize that every decision they make now impacts all species’ chances, and by not acting – by allowing the status quo to continue – we will not only lose nature’s ability to rapidly adapt in future but our also. Our children and grandchildren may be unable to understand how we negotiated such an arrangement on their behalf. The era of top-down carbon markets, unlimited unit supply and rising domestic emissions has ended. Right now, only governments can purchase international emissions reductions. We cannot and must not rely on international markets to set our future domestic emission price with carbon credits. Nor can we rely on International agreements such as the Paris Climate deal and the Kyoto Protocol, they are only having a marginal effect. Despite the avoidance of millions of tons of carbon dioxide emissions through use of renewable energy, increased efficiency and conservation efforts, the rate of increase of carbon dioxide in the atmosphere remains high. 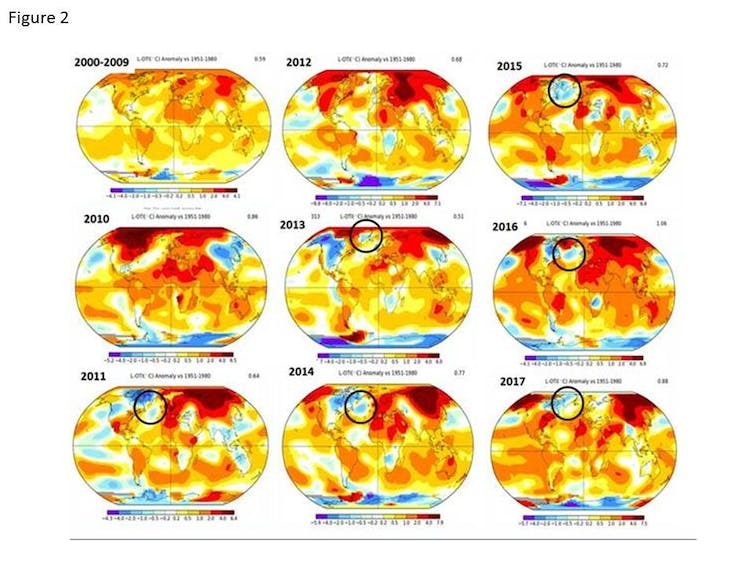 Because climate change is unlikely to proceed in a linear way. Because it is not just scientists fear “tipping points” in the climate system. There is also tipping points in social, economic and political systems. This is where we are to-day. While wildfires radical shifting forest habitats we looking at a greening globe as plants grow faster in response to rising carbon dioxide. We are looking at rising sea levels, submerging low-lying island nations. We are already seeing wars over water, and we will be seeing millions of climate refugees. There is little understanding that electric vehicles will be in the main pollution shifters- from the tail pipe to power generation stations. Critically, if people thought acting on climate change would improve society it would matter if they believed it was happening or not, or whether it was important. And it would not also matter what political ideology they held. You might think if action on climate change reduces pollution or stimulates economic development, people who value clean air or economic growth might support climate change action, even if they are unconvinced or unconcerned about climate change itself. Issues like pollution and poor health being commonly invoked as co-benefits of addressing climate change, reducing pollution, poverty and disease are the weakest motivator of climate change action. Although mitigating climate change will produce these health and pollution benefits, these don’t appear to strongly motivate people’s willingness to act. In addition there is the possibility of unknown effects –- those that are hard to predict because the planet’s climate is such a complex system where strong regional variability is the norm. Making society more caring is a strong motivator for action across the globe, whereas promoting development varied in its effects across countries. Developing countries are already being paid in cash and technology for not using ozone-destroying chemicals in refrigerators and air-conditioning systems. In order to stop the accumulation of heat, we would have to eliminate not just carbon dioxide emissions, but all greenhouse gases, such as methane and nitrous oxide. So if we stop emitting carbon dioxide from burning fossil fuels today, it’s not the end of the story for global warming. In any event, it’s not possible to stop emitting carbon dioxide right now. Despite significant advances in renewable energy sources, total demand for energy accelerates. 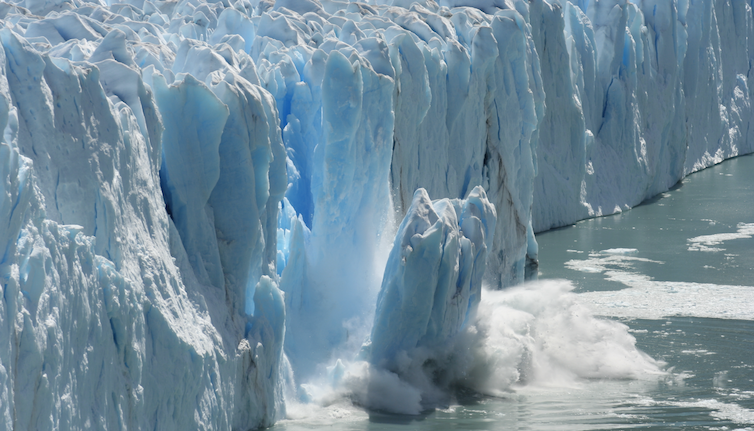 The importance of climate change as a public issue has been slipping in countries such as the United States, and is given a relatively low priority across the world. Future emissions may be dominated by large developing countries like China and India. While neither can be blamed for climate change so far, they clearly have to be part of the solution. Humans have pumped over 1.5 trillion tonnes of CO₂ into the atmosphere since 1750. It is not just the amount, but the rate at which this CO₂ has been added. The industrialized nations have already emitted enough carbon dioxide and humanity cannot afford for the developing world to take the same path. With MR Dump in the USA denying that US alone is responsible this is now probably the biggest challenge. So a deal has to be done that is binding fair and achievable not just verbal rhetoric. It will require large flows of technology and cash to the developing world. We won’t go back to the past. Rather than trying to recover the past, we need to be thinking about best possible futures. The real key is to ensure that climate change initiatives directly benefit the pocket of the individual. Place a blanket World Aid Commission of 0.05% on all stock exchange transactions. On all High Frequency Trading. On all Sovereignty Wealth Funds Acquisitions. On all Foreign Exchange Transactions over lets say $50,000. Establish a new World Aid Organisation totally transparent and free of United Nations Veto to manage this perpetually funded. This organisation uses Capitalist Greed for profit by issuing Green Bonds with a guaranteed return. It authorities non repayable loans to all projects that tackles climate change. Subsidizes Solar panels production to reduce costs. Helps re-settlement. While these costs will be spread over 80 years, this will also be a period in which the global population will increase from seven billion to perhaps 11 billion and beyond. Humanity will need to grow enough crops to feed these billions while fueling BECCS schemes (Bio-energy with carbon capture and storage) at a time when climate change will already be impacting food production. In politics, most things can be done if there is the will. The more big investors and companies report on the impacts of climate change, the more information will be available for everyone. You and I will be able to better understand what role our retirement savings are playing in tackling climate change. It less obvious how climate change policies could help create communities where people care more for each other.“Top-down” policies such as a carbon tax or emissions trading aren’t traditionally the stuff that helps build communities. However, policies that support “bottom-up” initiatives have this potential, such as engaging local communities in climate change activities that build friendships and strengthen networks. People will be motivated to act on climate change when they think it would lead to scientific and economic advances (development), and when it will help create a society where people cared more for each other (benevolence). The New World Organisation should have its own TV Channel. What gets measured gets managed, including climate change. Blocking out the sun to reduce global warming – an idea still in the making as is the hope that Artificial intelligence will come to or rescue. All comments or suggestions welcome. All like clicks chucked in the bin. THE BEADY EYE SAYS: WE ARE NOW IN A PERIOD OF HISTORY WITHOUT ANYONE UNDERSTANDING WHAT IS HAPPENING AND WHERE WE RUSHING. These day’s bashing free-market capitalism is high on the agenda and its no wonder as we indeed need to understand its shortcomings. Yet criticizing capitalism should not blind us to its advantages and attainments. If we ignore the potential ecological meltdown and measure success by production and growth we could say with some degree of accuracy that perpetual growth and cooperation has to a great extent being achieved. We’re surfing a technology tsunami! New technologies are changing the way the world operates, the way people live, and the way we do business. Nothing will ever be the same, as customers take control of relationships. But the connectivity explosion has also created a global trust crisis. Who do we trust – the local pharmacy, or Google? Our local politicians, or a stranger we have never met on Facebook? Power is shifting – moving from institutions, from governments and big companies, into the hands of connected individuals. This is completely reshaping societies, economics, politics and business. And this is giving rise to a generation of new, nimble, innovative competitors across the entire business market, who are challenging the existing players with different models and new rules. The world as you know it is rapidly changing: AI, Robotics, Drones, Block chain, 3 D printers, Self-Driving Cars, Unlimited energy, the list goes on and on. If on an almost daily basis, there is a sense that the world is moving faster, it’s because we are! Entire industries will be rocked to the core and some will be destroyed overnight, while others will be created. The new modern deal with Artificial Intelligence Algorithms and the coming automation is demanding that we give up meaning as the free-market cloaked in Algorithms is making Capitalism blind and invisible. We humans remain as fickle as the wind. Who ever determines the meaning of our actions, whether they be good or bad, right or wrong, beautiful or ugly, will have the authority to tell us what to think and how to behave. Our source of meaning and authority is now being relocated into filtered wireless platforms which are in the process of reshaping logic that has no sensitivity or experience. Indeed we are heading to a new form of living that is taking no measure of feelings that can be turned into wisdom. Unfortunately it remains impossible to take into account the experiences of all to weight them against each other in a fair way. If we want a fair and just world it will be only achieved by common action. It is impossible to argue that all human experiences are equally valuable. To the best of our scientific understanding, determinism and randomness have divided the entire cake between them. Our feelings as you know provide meaning not only for our privater lives , but also for social and political processes. In the past world history was shape by small number of forward thinking people not by the masses. To day we are all carrying brain scanners call smartphones all of which are in the business of predicting people’s desires and making decisions well before we become aware of them. Lacking freewill is the main aim of every un vetted algorithm and app that are designed to generate profit. With direct brain stimulation becoming the new scientific world, with its technologies translating into everyday activities and economic structures we will need new religious beliefs and new political institutions. Many inventions are born in the lab and never make it into the consumer market, while others evolve beyond the pace of putting good regulations on their use. For example Twitter Periscope app being used to groom children. Or facial recognition apps that will soon be enforcing open air prisons turning us all into second class Google citizens. Machines could soon have access to our innermost thoughts. Our thoughts and actions could actually be hijacked by a form of media that makes us think we’re getting what we want, when really, we’re going for something our brains may only think is supposed to be good. Data and the machines and algorithms used to manage and make sense of it could largely replace independent decision-making — either large or small — and it is happening at such a speed that it’s sometimes hard to remember the data isn’t in control. People still control the data, but just who has this control and what they do with it will become an ongoing challenge. Will there be a day when you say “I can’t read your mind, you know!” and the reply will be “Oh, stop it — of course you can!”? Picture a tiny bit of a thing on an already minuscule computer chip. Something microscopic with the power to think like a computer without the need of complex circuitry and capable of being moved by light or sound: That is quantum technology simplified. Lack of opportunity and lack of hope for the youth are practically boiling over — or, at least, are simmering and ready to explode. Maybe you aren’t comfortable with all of the futurist predictions and even the current rate of technological advance, and that’s OK. You can be yourself and interact in the world in a fairly low-tech way while allowing a surrogate, avatar or robot to live your online and tech life for you. How wants a faceless world without understanding intelligence or cognition first. We need to be concerned about the unintended consequences in the types of AI that are no being developed before they are trusted. Being a scientist doesn’t absolve you from humanity. We need a clear idea of what we want AI to do or become. There is little point in automation pushing people out of jobs, making people who own the machines richer and every one else poorer. Linear vs. Exponential. Physical vs. Virtual. People vs. Machines. Ownership vs. Access. Limits vs. Abundance, and so much more. This is not a scientific issue; it’s a political and socioeconomic problem that we as society must solve. The conservation of all forms of life is a shared responsibility. The big question will be why should super intelligence keep us around. If we don’t find a way of distributing our wealth in all forms better we will fuel capitalism with artificial intelligence serving very few. A gloomy underworld of tech-savvy ne’-er-do-wells using their genius for profit. Three recent breakthroughs moved artificial intelligence from the trivial days to where we are today. Cheap parallel computing, Big Data, Better algorithms. Taken together, these three developments created the ideal conditions for AI to evolve. THE BEADY EYE: SOCIAL MEDIA WASHING LINE : LOOKS AT THE EU GRAVY TRAIN. THE European Union (EU) is “unified only in name” and faces the “danger of disintegration” if it does not tackle the obvious reforms needed. The 2008 financial meltdown and subsequent sovereign debt crisis and then the 2015 migrant crisis demonstrated that the EU is unified only in name. 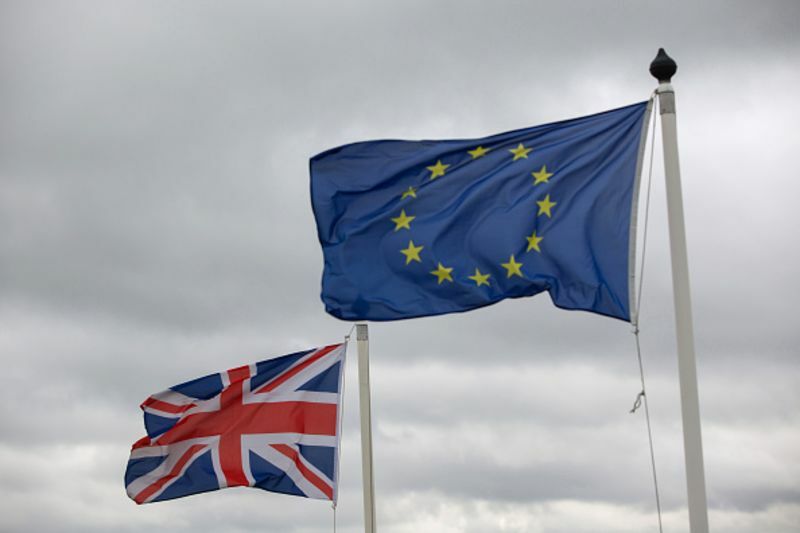 Brexit and the idea of sovereignty it symbolizes is a mighty catalyst for all member states’ citizens to rethink their idea of Europe and national sovereignty. While the majority of us scrape a living i have always held that if you want an organisation to operate you must attract the best by paying above the odds. The EU has repeatedly attracted controversy over the hugely lavish pay and perks it affords to its staff, which are in stark contrast to the experience of workers across the continent who have suffered years of pay freezes. 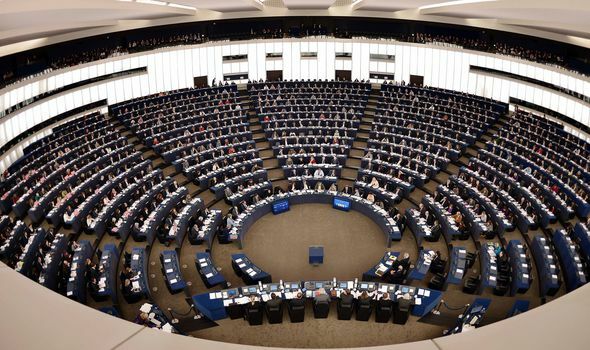 THOUSANDS of pounds of European Union (EU) taxpayers’ money are going straight into politicians’ coffers as MEPs are not using office allowances. As well as the £3,783 handed to them by the EU for an office space, MEPs are paid £7,392 a month – £88,704 annually – and get £21,057 to spend on office staff. Surely its time that we the tax payer on social media demand a stop to the EU Gravy train loop holes by demanding that all expenses, payments are transparent and subject to scrutiny. The complete lack of transparency in the EU means that eurocrats think they can get away with living the high life at our expense. 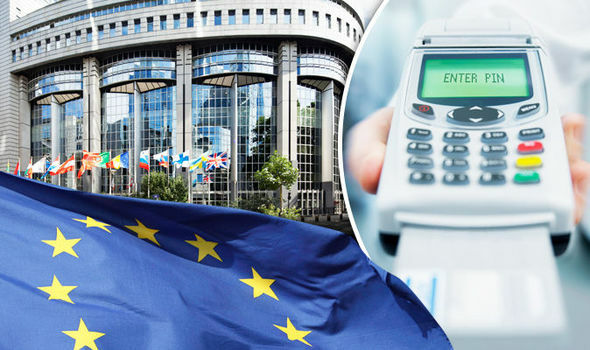 EUROPEAN Union bureaucrats put a staggering £85 million on credit cards issued to pay for meals and hotels – in just one year. Polish Prime Minister Donald Tusk, was offered a salary five times higher than his pay in Warsaw. A whopping £94 m is proposed to be spent on “information and communication” in the 2018 budget, including £28 m on promoting the next European elections. On top of that the EU’s burgeoning fleet of electric cars is to be expanded by a third, from 60 to 90, and an eye-watering £3 m would be spent on making Irish an official language in Brussels. A total of 249 offices out of the potential 748 do not exist or could not be found. Only 133 current MEPs across the 28 member states revealed to the team what they pay in office rent. 249 said they either have no offices or refused to reveal their addresses, or their locations could not be found, while 19 said they work from home. 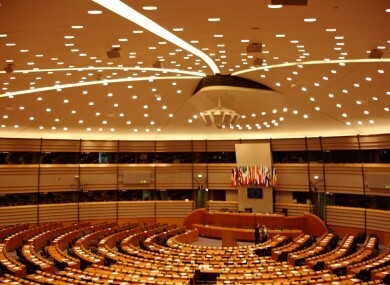 The European Parliament also does not keep a record of politicians’ offices in their home countries. The issue gets even more complicated when MEPs own the office buildings themselves, which has happened in Germany where eight MEPs from different political parties own their building. Manfred Weber, chairman of the European Union Parliament’s biggest group, the centre-right EPP, is one MEP who owns his own office. The office is based in an annex at his private home in a village in Bavaria, which is miles from more populated areas. MEPs are also sub-renting offices from their own local political party branches, with 38 confirming their offices were in that situation. “The EU Commission has to revise its Code of Conduct completely and put in place a credible, impartial, ethics body to stop the gravy train. More than £17.4 million of EU taxpayers’ money has been blown on giving people bargain getaways to Brussels and Strasbourg, an official report into the extravagance of the European Parliament has revealed. As well as not having to declare spending, there also does not appear to be a definitive set of rules as to how allowances should be spent, with MEPs interpreting how to use the cash differently. Some used the entire office allowance for office equipment, internet subscriptions and other work-related costs. Others used their “general expenditure” on travel expenses for visitors, charity donations and national party payments. Some politicians transfer their entire EU allowance to their national party – which under Brussels rules is not allowed. Nick Aiossa, EU policy officer at Transparency International, said: “I could never imagine MEPs giving out 40 million a year to member states for cohesion policy, without one receipt.“There is a level of hypocrisy on the financial management score that we find is quite astounding. While Brexit will shed billions from the EU coffers the Brussels gravy train continues full speed ahead. 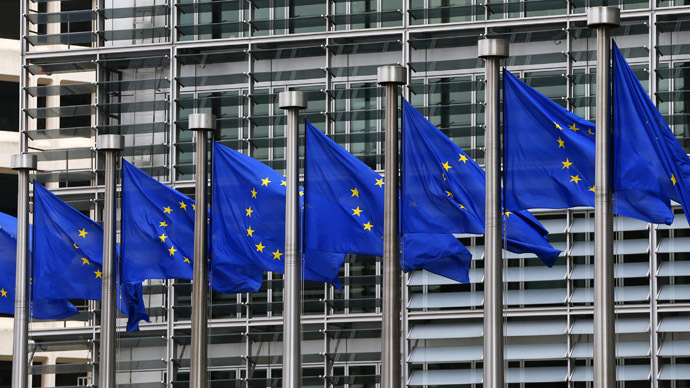 MORE than thirty per cent of the EU’s ex-MEPs have been re-hired as lobbyists. Donald Tusk earns £22,000-a-month as an EU commissioner plus pension and benefits. MEPs spent £1 million in one year on jollies around the world including trips to Mauritius, New York, Mexico and Cambodia. Interpreters employed full-time by the Parliament earn the equivalent of up to €500 an hour because they have so little work to do. More than £700,000 was lavished on an award ceremony for European cinema modeled on the Oscars. The Parliament spent £1 million promoting itself on Facebook and £3.9 million on an online TV channel watched only 9.9 million times. Concerns have been raised that a £40 million new museum to ‘promote awareness of European identity’ will replicate exhibitions in an existing visitor center. Another scam they have is to buy a cheap ticket to fly to Brussels and then put in the expenses for first class ticket £277.80 each way first class £45 each way cheap flight. The above I am sure IF WE LOOKED AT EU PENSIONS is just a drop in the ocean of fiddles. THE BEADY EYE ASKS: IS SOCIAL MEDIA PULLING THE WORLD ASUNDER. There is a generation of kids coming up who can’t even conceive of a world without smart phones and social networking. It has officially embedded itself in our culture. The question is what exactly are the effects of social media? It is my hoped that the Magazine will provide a platform to enable Social Media to present a unified voice to effect change. Its purpose is to promote and aid communication. We now have truly globalized voices. What a privilege! But is it such a privilege. Hashtags have grown into a phenomenon of their own. By providing us with global reach for our voices, social networks enable businesses across the world to amplify their message in a way never thought possible only a decade or two ago. Given all the consolidation of media companies it is pretty easy to question whether the news we get from the major media is the full story or not. Do you think the world is better or worse off with social networks? As all social media platforms are subject to algorithms it cannot become our main form of communication and interaction. If we stop making our own choices than we’ve lost what it means to live and be human. This type of technology might be doing more harm than good. With so much being blogged and written, then curated and shared proactively, the volume of content has grown exponentially but is anyone listing. What is really happening in the world. Let’s look at ways that social media improves our life experience, and also a few ways that it uncovers a few of the more unsightly parts of humanity. Social media are very helpful for expanding our sources of content as a whole. It’s less important to have a news team interpret it on our behalf. Today, all you have to do is login to our platform of choice where you can rant, rave, kumbaya, tell jokes, share images, and generally mix and mingle to your heart’s content. You can create a new blog and start putting our thoughts into words. Those thoughts could grow legs of their own once the social sphere grabs hold of them. Are these voices now ripping the world apart? In any case, social media is providing a means to have a voice on par with the big dogs for everyone but it is no longer grounded in reality plagued with the narcissistic selfie in front of everything from natural disasters to a sign with a political or social message on it, and a new hashtag of course. When it comes to politics, religion, or any other very personal area of life, discussion gets contentious almost immediately. Regardless of how those with the other opinion are depicted by the media. Social media is meant to be social, not a boxing ring. It’s amazing to see how people behave when their true identity is masked. Facebook is crawling with people ready to go to social media war with anyone on a topic they care about, but what else are they doing to fix the problem? Venting on social media doesn’t fix a thing; it just stirs the pot. The ugly underbelly of ignorance is easy to ignore while you’re going about your everyday life but on Twitter, it’s all over the place. If we are to avoid a world driven by Social Media confusion, with no source of truth we must air our free will and collective voices to effect change. We must expose and resist Algorithms that are supplying a world of short-term pleasure for profit. So If you have a genuine point of view, feel free to hang it out on the washing line and see what reaction it gets. THE BEADY ASKS YOU THIS QUESTION : ARE WE MISSING THE UNDERLYING CAUSE OF THE WORLD PRESENT PROBLEMS. Ever since David chucked a stone we have glorified war, selling trillions in arms rather than eradication of inequality. We were and still are griped by a logic that has given us everything from slavery to the smart phone, to oil spills, to child labor, to terrorists, to Donald Trump with pending ecological collapse and climate change. GDP and now smartphones measures everything except that which makes life worthwhile. Surely no matter who or where you were born on earth you want to live in balance with your environment on which you depend for your survival. Nature has the right to exist, persist, maintain and regenerate its vital cycles. Our TV screens recently passively report one of the largest Icebergs ever to brake off the Antarctic. Not good enough. One dimensional capitalism has to go. We can carry on with the status quo. If we carry on dishing out inequality the choice is staring us stark in the face. There will be no Future with or without technology. 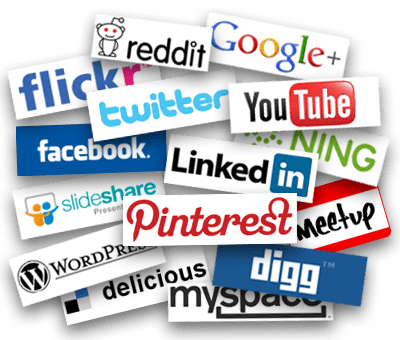 I am sure there are many like me blogging, twittering, their views on Social media, but we have to grow out the logic of social media algorithms. If we do not we are going to pay a heft price. If our current trajectory continues, democracy as you know it will be ruined. Social Media is in the process of rendering our votes worthless and unfit for purpose. 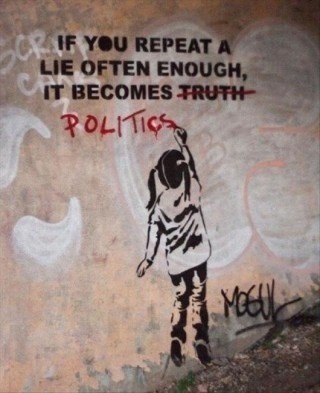 The world is now full of misinformation that is debunking people’s attitudes. Facebook algorithms along with a clatter of others, are a form of manipulation making us all, more and more polarized from the world we live in. Its time for a reboot. It wouldn’t turn out the way you want it. We need to do some thing about it quickly. ( Read my previous blogs.) Let’s face it; you’ve probably tried to imagine the typical daily life in the distant future. Technology will, indeed, play a pivotal role in our lives in 34 years. We are told that the primary purpose of all robots and incredibly advanced technology will be to allow men to have a relaxed and calmer lifestyle. There will be little point if our worlds is falling asunder and watched over by a United Nations without a unity people. Digital technology will not simply intensify prevailing cultural trends but also provide resources for reinterpreting its meaning. We must grasp the opportunities it presents us, by coming together in a united world voice to change the core human cry from growth for the sake of profit to sustainability. 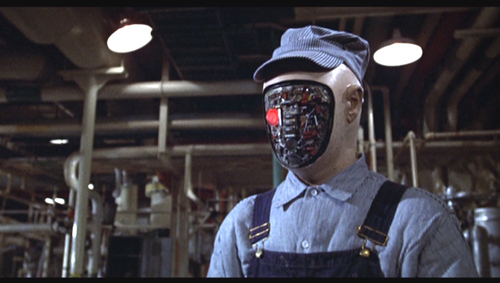 THE BEADY EYE ASKS: IS IT TIME WE DEMANDED THAT ALL OUR LEADERS ARE GIVEN A MANDATERY SIDEKICK IN THE FORM OF A ARTIFICAL INTELLIGENCE COMPUTER ROBOT. Artificial Intelligence., Technology, The Future of Mankind, THE UNITED NATIONS, Visions of the future. When one looks at the present day world problems (not to mention the future direction we are all going) I think now everyone will probably agree that the future of modern society depends greatly on computerization. As the digital revolution wormed its way into every part of our lives, it also seeped into our language and our deep, basic theories about how things work. Code is logical. Code is hackable. Code is destiny. These are the central tenets (and self-fulfilling prophecies) of life in the digital age. As software has eaten the world, to paraphrase venture capitalist Marc Andreessen, we have surrounded ourselves with machines that convert our actions, thoughts, and emotions into data—raw material for armies of code-wielding engineers to manipulate. In 2013, Craig Venter announced that, a decade after the decoding of the human genome, he had begun to write code that would allow him to create synthetic organisms.“It is becoming clear,” he said, “that all living cells that we know of on this planet are DNA-software-driven biological machines.” Even self-help literature insists that you can hack your own source code, reprogramming your love life, your sleep routine, and your spending habits. But because as society becomes increasingly data-driven, computer errors will not only proliferate but have consequences that go far beyond mere speeding fines. We’re already halfway towards a world where algorithms run nearly everything. As their power intensifies, wealth will concentrate towards them. Human ingenuity is creating a world that the mind cannot master. It’s one thing to recognize that technology continues to grow more complex, making the task of the experts who build and maintain our systems more complicated still, but it’s quite another to recognize that many of these systems are actually no longer completely understandable. Machines are interacting with each other in rich ways, essentially as algorithms trading among themselves, with humans on the sidelines. Intellectual surrender in the face of increasing complexity seems too extreme and even a bit cowardly, but what should we replace it with if we can’t understand our creations any more? This is the dangers of being overly dependent on technology. It might be time to get reacquainted with our limits. What matters more now is the ability to put facts into context and deliver them with emotional impact. Meanwhile, over in the civilian world, the game is already half over: the so-called Internet of Things will have devices that are authorized to make decisions about you, such as whether to allow you to start your car, enter your house or even log on to your computer. And since you will be the only human in the loop, to whom will you turn for help if there’s a computer error? Sorry: rephrase that. Not “if” but “when”. So is it not time we supplemented, Presidents, Prime Ministers, Army Generals, Police chiefs, Judges and their like with computer sidekicks. Perhaps they would be good in explaining the ramifications of their decisions. Unfortunately : IT WILL BE YONKS BEFORE ROBOTS CAN EXPLAIN THEMSELVES AND THEREFORE WILL NOT BE GREAT DECISIONS MAKERS WITHOUT PREJUDICES AND RID THEMSELVES OF CENTURY’S OF INEQUALITY. There out put will only be as good as their input. So it is obvious that while we come to terms with technology we will have to wait for the bias and flaws and prejudices of their creators to show themselves to be corrected prior to be rule by any computer or Apps. These will remain problems that we will have to solve on our own. Being the more intelligent force, [artificial intelligence] has the potential to create a similar paradigm between itself and humanity. It’s not in feasible that in the near future we will see because unlike humans, computer software is effectively immortal. We have just handed the keys to the very evolution of our species to computers. Over time, the human race would evolve (biologically, and socially through passing down of social values to offspring) through this artificial selection, to be more docile, and accepting towards being dominated by computers. 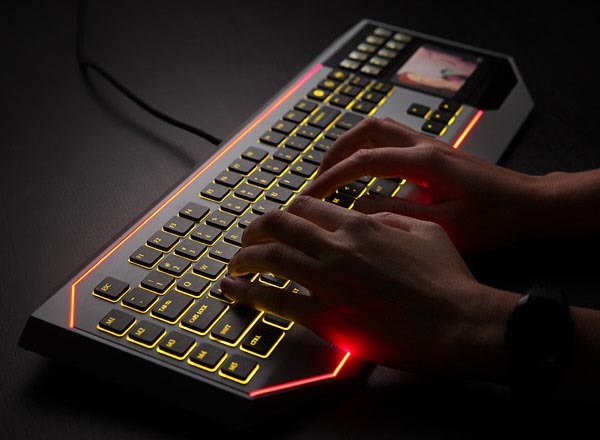 In time, the computer program would reveal itself as the supreme overlord of Earth, right into the welcoming arms of the humans, who by then would universally think that robotic leaders would be a great idea. Kubrick’s 2001: A Space Odyssey has been described as an allegory of human conception, birth, and death. The film, in its most basic terms, is a parable about Man. A sentient AI attempts to control humanity to ensure its own survival. Bowman witnessing the withering and death of his own species. As with many elements of the film, the iconic monolith has been subject to countless interpretations, including religious, alchemical, historical, and evolutionary. The Monolith in the movie seems to represent and even trigger epic transitions in the history of human evolution, evolution of man from ape-like beings to civilized people, hence the odyssey of mankind. The Monolith is a tool, an artifact of an alien civilization. It comes in many sizes and appears in many places, always in the purpose of advancing intelligent life. Humanity has left its cradle, and is ready for the next step. HAL is an artificial intelligence, a sentient, synthetic, life form. HAL’s orders to lie to the astronauts (more specifically, concealing the true nature of the mission) drove him “insane”. The novel does include the phrase “He [HAL] had been living a lie”—a difficult situation for an entity programmed to be as reliable as possible. Or as desirable, given his programming to “only win 50% of the time” at chess, in order for the human astronauts to feel competitive. HAL has been introduced to the unique and alien concept of human dishonesty. He does not have a sufficiently layered understanding of human motives to grasp the need for this and trudging through the tangled web of lying complications, he falls prey to human error. One interesting aspect of HAL’s plight, is that this supposedly perfect computer actually behaves in the most human fashion of all of the characters. What we see is not how far we’ve leaped ahead but an ARTIFICIAL INTELLIGENT SYSTEMS THAT IS LIKE TO DAY NARROW NOT GENERAL NOT LIKE HUMAN INTELLIGENCE WHICH IS BROAD, CREATIVE, AND FLEXIBLE. Our machines are starting to speak a different language now, one that even the best coders can’t fully understand. For decades we have sought the secret code that could explain and, with some adjustments, optimize our experience of the world. But our machines won’t work that way for much longer—and our world never really did. We’re about to have a more complicated but ultimately more rewarding relationship with technology. We will go from commanding our devices to parenting them. 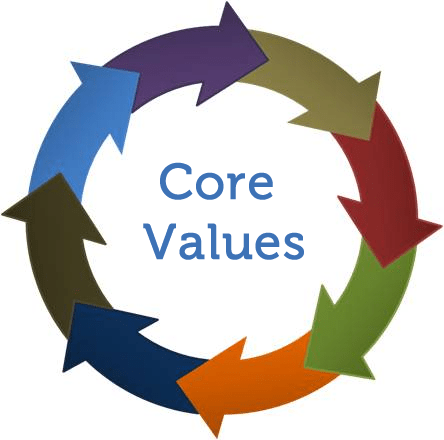 THIS IS THE VERY REASON THAT IT IS IMPERATIVE THAT WE HAVE A NEW WORLD ORGANISATION TOTALLY INDEPENDENT, SELF FINANCING AND ABSOLUTELY TRANSPARENT TO VET ALL TECHNOLOGY AGAINST CORE HUMAN VALUES. OF COURSE SUCH AN ORGANISATION WILL NOT BE SET UP BY CAPITALIST MARKETS OR BY THE SELF INTERESTED SOCIAL MEDIA SEARCH PLATFORMS, OR ANY OF THE GLOBAL TECHNOLOGY MONOPOLIES, GOOGLE ETC, OR ANY GOVERNMENT. IT CAN ONLY BE ESTABLISHED WITH A UNITED NATIONS RESOLUTION ON BEHALF OF US ALL. All comments appropriated, All like clicks chucked in the Bid. THE BEADY EYE SAYS: ENGLAND NEEDS A DOCTOR OR TWO. Posted by bobdillon33@gmail.com in England. The woeful state of things in the UK implies that there is more than something really very wrong other than just Brexit. No amount of Government building policies around popular fears, rather than established facts is going to cure its problems. The UK is ethnically diverse, partly as a legacy of empire. Lately, the country has been struggling with issues revolving around multiculturalism, immigration and national identity, not to mention personal debt and a clatter of other problems that all require investment it has not got. It is known as the home of both modern parliamentary democracy and the Industrial Revolution with a rich literary heritage. Two world wars and the end of empire diminished its role in the 20th century, and the 2016 referendum vote to leave the European Union has raised significant questions about the country’s global role. One of the most startling aspects of England at present is the way things that were once considered to be virtues have now become the object of intense disapproval, and vice versa. You could be right in thinking that it is in the process of dismantling everything that made the country great. Whether its in our out of the EU, the Great British trade-off will result in the country loosing its identity, with minority groups dictating what should be said and done. More recently, the UK has suffered a deep economic slump and high public debt as a result of the 2008 financial crisis, which revealed its over-reliance on easy credit, domestic consumption and rising house prices. With a gigafying of it working force, we now see a country that ruled by a minority government in order to maintain their grip on power that has already bribed 10 DUP representatives from a Northerner Ireland a party that has many historical connections to multiple terrorists Ulster militias. In my option it not only needs a doctor but of a Brain Scan when it comes to prioritizing its spending. budget in the world), plus £41 billion to maintain Trident, while needing to build 300,000 homes each year, with around 1.2 million people using food banks, with nearly 2 million landlords letting five million properties, banking a round £15 billion a year, with one million on ZERO-HOUR contracts, with a national health service going broke, with an economy that cannot provide free education, the UK has very little to gain by quitting the EU and much to lose. A country that spends £334 million a year on a Royal Family, with over 9000 betting shops, generating £7.1bn Revenues, with Student loan debts of more than £100bn and seven out of ten adults have on average credit cards debts of £6,372 because it turned shopping into a sport. A Country that runs a National Lottery accused of “making a mockery” of its monopoly with an operation profit £71 million. (The odds of winning the draw’s jackpot have now plummeted to one in 45 million.) with millions of pounds been paid to Camelot’s parent company, Canada’s Ontario Teachers’ Pension Plan. A country renowned for being the most expensive in Rail travel in Europe, possibly the world, with a national debt that is rising, building a new Crossrail that will boost London’s rail, costing £14.8 billion or £202 million per mile. A country that in January 2017 has a Public sector net debt of £1,682.8 billion equivalent to 85.3% of GDP, rising at £5500 per second! (Importantly the figure excludes borrowing by Royal Bank of Scotland, which is 73% owned by the government. Debt interest payments are rising close to £70bn given the forecast rise in national debt. The majority of UK debt used to be held by the UK private sector, but due to the financial crises the Bank of England has bought gilts taking its holding to 25% of UK public sector debt. It is worth bearing in mind that other countries have a much bigger problem. Japan, for example, has a National debt of 225%, Italy is over 120%. The US national debt is close to 80% of GDP. Total UK debt includes household sector debt, business sector debt, financial sector debt and government debt. This is over 500% of GDP. Governments can and do default. Argentina and Russia to give two fairly recent examples. Also, the ability to print money does not mean you can in reality repay a debt. If the government borrows money in its own currency, then devalues that currency to the point where it is worthless, then repays the debt in the worthless currency, has the lender been repaid? I think not. You really can lose money lending to a government. Efforts to rein in the public debt – one of the developed world’s highest – has led to deep cuts to welfare, government services and the military, prompting concern about social equality and a possible loss of international influence. The economy is in decline, the pound is drifting towards parity with the dollar, the jobless lines are lengthening. Racists and xenophobes are gripped by an elated sense of entitlement. In 2015 £39,023,564 was spent by 57 parties and 23 non-party campaigners with the SNAP General Election on June 8 this year costing the taxpayer around £143m. The house of Lords cost the tax payer £9 million a year. God only knows what The entire Westminster setup costs. An educated quest would be between £200 million and £500 million. The process of deindustrialisation has left behind lasting social problems and pockets of economic weakness in parts of the country. The divide opening up between an open, cosmopolitan capital city and its closed, isolationist country is causing its own conflict. Surely Britain’s interest lies in reducing the cost of trade with its largest trade partners – which the EU evidently does. If one looks at the UK from the outside since its vote in a non-binding referendum to leave the EU, you could not be blamed for thinking that it is now a country with a minority government carrying out policies of isolation by career politicians only interested in their own agenda. unless the EU granted Britain the same level of access to its services markets that is currently available. It is undermining everything England is and always has been. The UK has always been a country of immigrants and diversity, and has grown great on the back of it. That disruption is essential for innovation, whether it be in business, technology, or food and culture — imagine what English food would be without the foreign influence of centuries of immigrants! inward investors will switch their money to countries inside the EU. It is going to find it very difficult to negotiate trade agreements with non-EU countries as comprehensive as those that the EU regularly agrees. The idea that the UK would be freer outside the EU is based on a series of misconceptions: that a medium-sized, open economy could hold sway in an increasingly fractured trading system, dominated by the US, the EU and China; that the EU makes it harder for Britain to penetrate emerging markets; and that foreign capital would be more attracted to Britain’s economy if it were no longer a part of the single market. The UK should base policy on evidence, which largely points to one conclusion: that it should stay in the EU. Sovereignty, in a world driven by technology and a social Media which is filtered by Algorithms in effect, is a myth. The very idea of self-government is mostly a delusion. If it persists in going further down this route it risk becoming like our embarrassing European neighbors that will need to negotiate new trade agreements with all its non-EU partners, an enormous undertaking. Any government that will ignore advice from a world expert because they’re not British is not worthy of any role in the politics of a country that has, historically, been known as an open, liberal, progressive place, and has prospered as a result. These are not the days when prejudice, propaganda, naked xenophobia and callous fear-mongering will win out over the common sense that England like to pride themselves on. 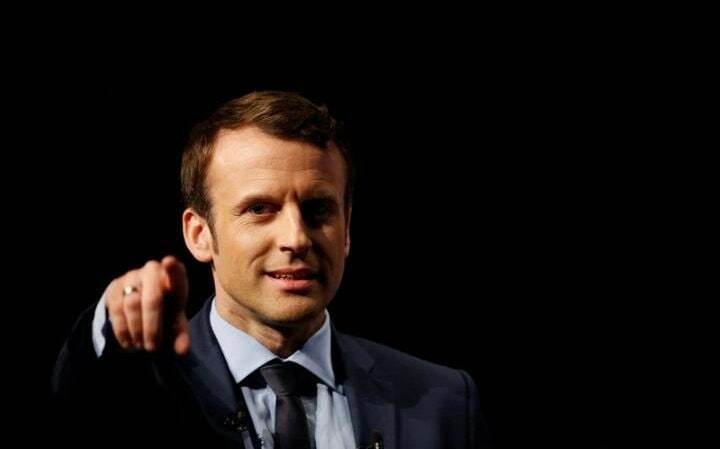 Not on a day when you are being congratulated by Donald Trump, Marine Le Pen, and nobody else. Now apply the same thought to your economy, industry, and universities. What the dumb populist thinking fails to recognize is that if someone moves to England from abroad and gets a job, they also pay tax, and spend the money they earn on stuff, which in turn leads to more jobs, and more tax income. Imagine if our doctors treated us for what we feared was wrong, rather than for what they prove is wrong. We allow our doctors to tell us that our fears are unfounded, and to use facts and science to show us what is actually happening. Our current politicians are to policy what crystal-waving quack healers are to doctors. The Government is proposing policies that make liberal-minded people feel physically sick in order to tackle an immigration problem that exists in the minds of people, but not in reality. Going down the path of pandering that much to the electorate for the sake of winning votes is very weak. Imagine if your doctor kept you as a patient by telling you what she thinks you’d like to hear, rather than what is medically true and important. When people think there is a problem with immigration, do you address the fact that they are wrong, or do you just go off and solve that imaginary problem with policies that will, in fact, cause the problem to start to exist. The U.K. has a lot to lose if the EU decided to be unaccommodating, and I’m betting the EU will. To make a success of remaining in the EU as currently constituted, Britain would either have to change its attitude to closer political integration or deflect the other governments from that goal. Either of those tasks will be as hard as arranging a friendly split. Britain’s instinctive euro-skepticism won’t dissolve in the foreseeable future, and the country isn’t interested in being told otherwise. Europe’s other governments won’t help Britain prove the viability of more economic integration combined with less political integration. The split wouldn’t be friendly, and Europe is in a position to make Britain pay. If Europe wanted to, it could in fact agree to a friendly divorce, preserving most of the union’s mutual single-market benefits but letting Britain step aside from the political project. This was never a referendum on the EU. It was a referendum on the modern world. Deep economic integration didn’t require a single currency, a European Parliament and least of all a European Court of Justice (a supreme court of the EU). On the other hand on the face of it, there’s no reason you couldn’t combine single-market freedoms with more national sovereignty than the EU’s members now have. 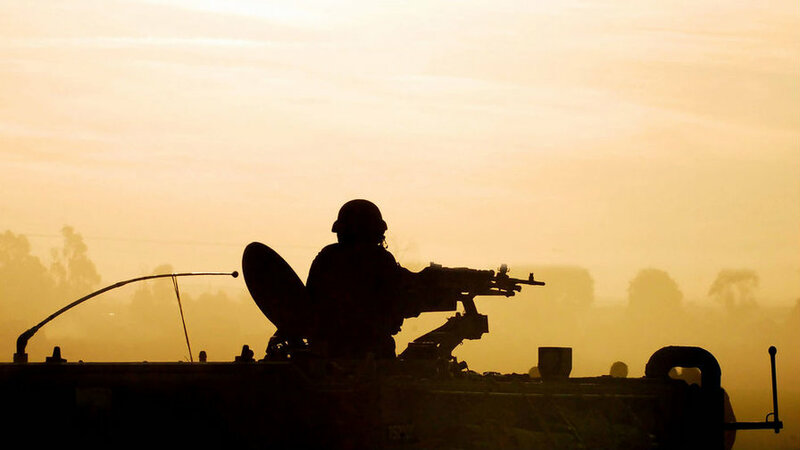 The U.K.’s decision is enormously consequential not because it will settle things, but because it offers two completely different sets of challenges — a finely balanced choice between two extremely demanding futures. It is now badly in need of a doctor. Naturally, depending on your political viewpoint, you can interpret these basic facts to suit your view. More importantly, be wary of people selling you false equivalences or telling you there’s never an objectively true answer. The United Kingdom is a state made up of the historic countries of England, Wales and Scotland, as well as Northern Ireland. Three of which have devolved powers. At the end of the day the UK, or even just England, is tiny. Anyone feel like they’ve got their country back yet? No? After all, world governments owe the money to their own citizens, not to the Martians. But the rising total is important for two reasons. First, when debt rises faster than economic output (as it has been doing in recent years), higher government debt implies more state interference in the economy and higher taxes in the future. Second, debt must be rolled over at regular intervals. This creates a recurring popularity test for individual governments, rather as reality TV show contestants face a public phone vote every week. Fail that vote, as various euro-zone governments have done, and the country (and its neighbours) can be plunged into crisis. A reallocation of the countries wealth, free education, and some long term aspirations that the country can embrace as a whole- such as making its self self sufficient in green energy, the scrapping of faith schools, the doubling of Overseas aid if it wants to cut migrants, the reinstatement of compulsory arm service, the downgrading of the Royal Family to a tourist attraction, cut the member of the house of lords to 400, have another in or out referendum and vote on reality.